We arrived in Chiang Mai from Luang Prabang and started to spin, rudderless. The city — 2nd largest in Thailand — was bigger than anticipated and we were overwhelmed with where to start. Our first base was near the heavily touristed night market and the calls of tuk tuk drivers to take us to see tigers, elephants and the night safari were endless. 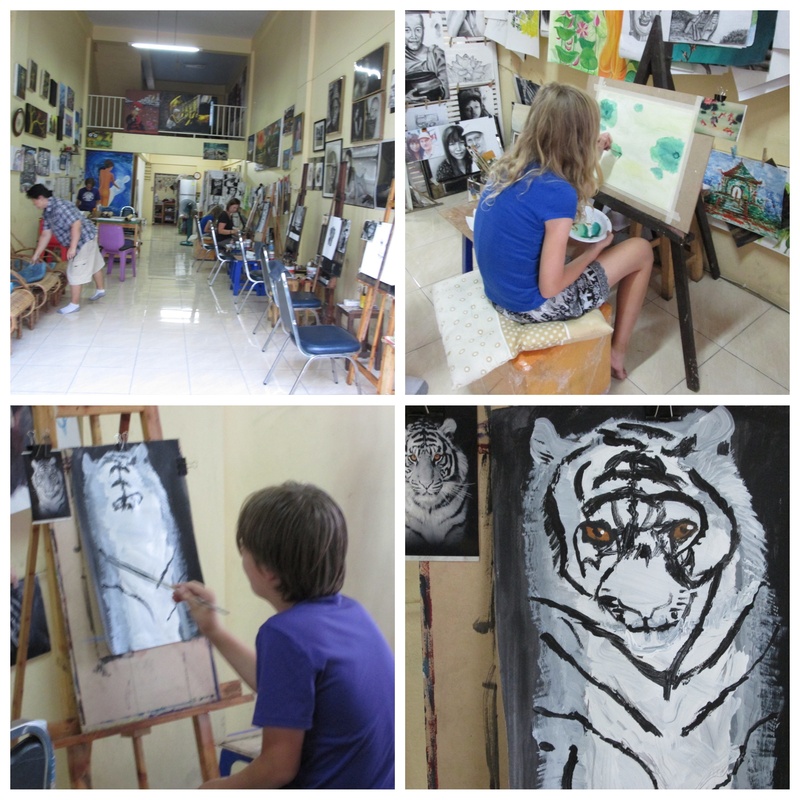 Here’s a few activities we found in Chiang Mai with nary a wild animal in sight. 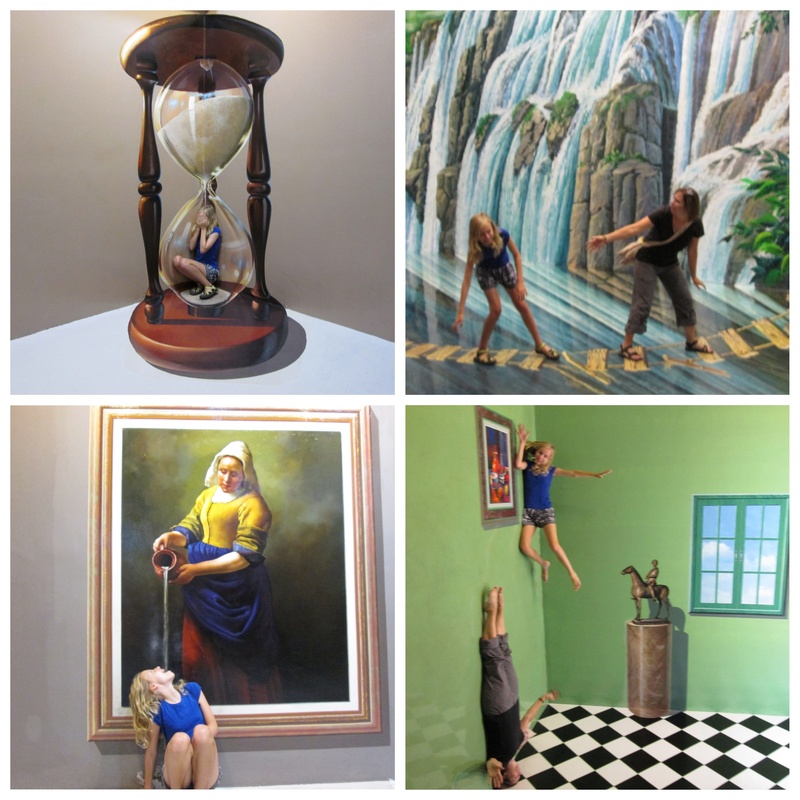 Located on Chang Klan Road just passed the Shangri La, this museum requires you to interact with the art. Perhaps you won’t see any masterpieces here but you’ll laugh heartily while trying to create your own. A sweet neighborhood studio in the NE corner of old town, Noina offers a three hour course using whichever materials interest you. Kyle did sketching, Julia and I did watercolor and Sean used acrylic. A chill afternoon to just summon our muse was relaxing. 500 baht/pp for three hours. 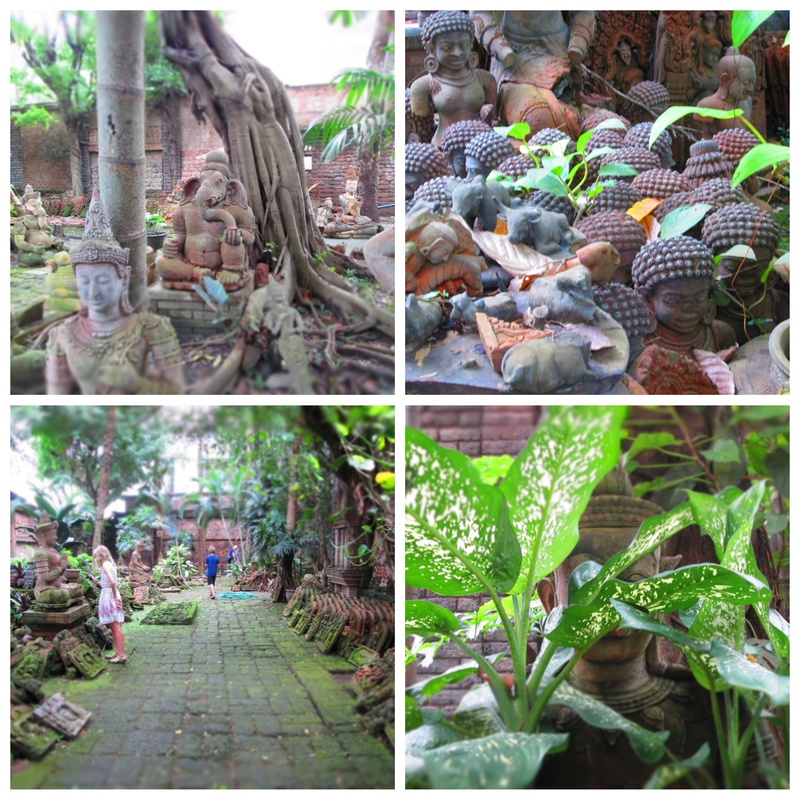 Baan Phor Liang Meun’s Terra-Cotta Arts is a sprawling garden of moss covered clay sculptures. The labyrinth of Buddhas, disciples, and Lanna representations in a sumptuous, verdant setting can mesmerize all people, big and small. The garden can be found a few blocks west of the south Chiang Mai Gate (turn right on Roi 6). My mother found out about this gem while chatting up an Aussie Chiang Mai regular. My mom has a genuine sociability to get the inside scoop. It isn’t hereditary. We part ways tomorrow for the duration of our rtw tour and I will have to uncover secret treasured spots on my own. So did we turn our backs on the mighty tigers and elephants? Of course not. More on an incredible day at Elephant Nature Park soon! Great report! 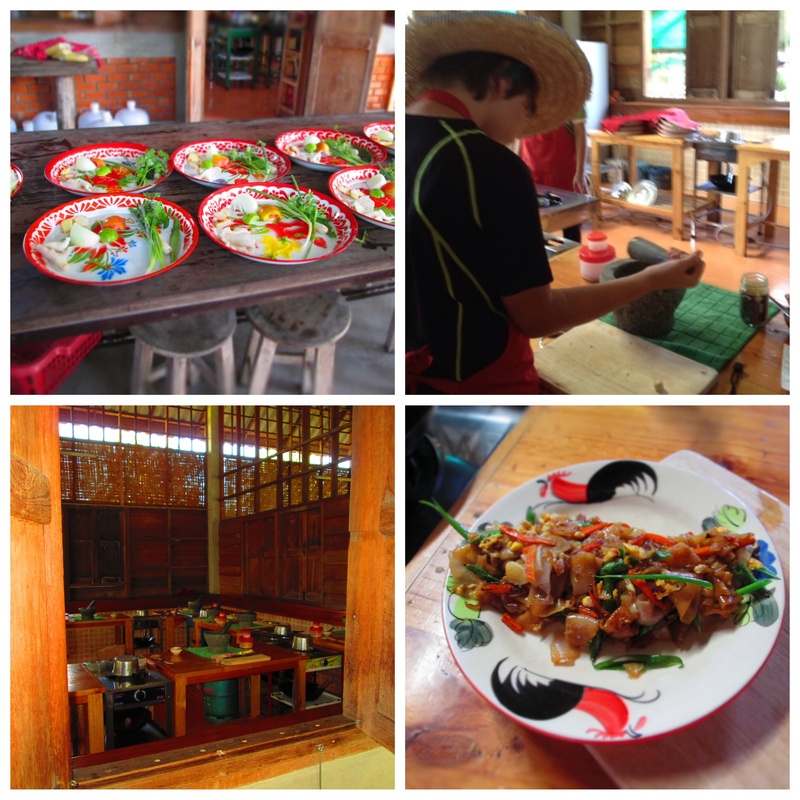 I’m so looking forward to visiting Chiang Mai next summer, after reading your amazing blog!